Designed to meet the specific needs of each type of hair, the PHYTODESS care for lengths and ends, moisturize, protect, nourish and reinforce them. Your hair regains its sparkle and is resplendent with beauty. 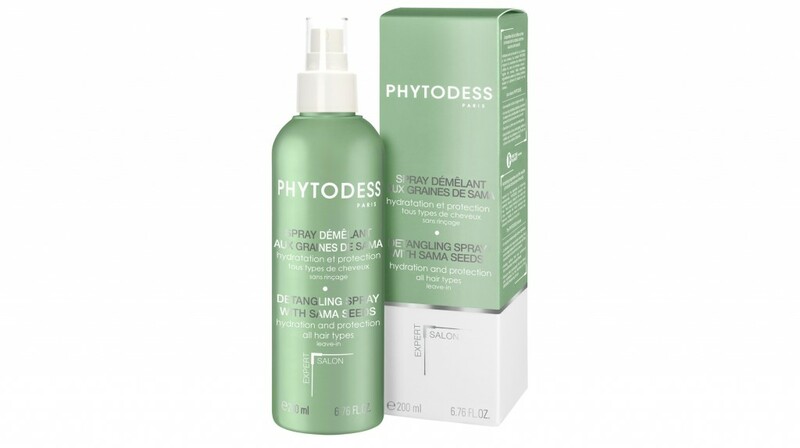 Enriched with a sama* seed extract and antioxidant ingredient, this spray allows easy styling, hydrates the hair without weighing it down and preserves radiant hair color. * In Burkina Faso, sama farming has allowed the training of a group of women in techniques that promote biodiversity and supports the education of children in the region. Plant-based squalane: prevents hair dryness and brings suppleness and easy handling to the hair. D-Panthenol: moiturizes and adds shine and radiance. Plant-based conditioner: controls static electricity and facilitates detangling and styling. On towel-dried hair, spray 3 to 5 times on the lengths and ends, then style. Do not rinse. For optimal use, rinse the pump after each use. Avoid all contact with eyes.